In the emerging mobile-first era, responsiveness is more important than ever. But while most people make sure to use responsive themes and web design, not everyone realizes that it’s just as important to use responsive plugins. A mobile-unfriendly plugin can completely undo a perfectly responsive theme. If your website isn’t optimized for mobile, you’re missing out on a ton of potential traffic. If you’re looking for responsive plugins, this list suggests some that are well-optimized for all mobile devices. So you’ve done it — you have a responsive theme that looks great on phones and tablets. You’ve even made sure to use mobile-friendly email templates! 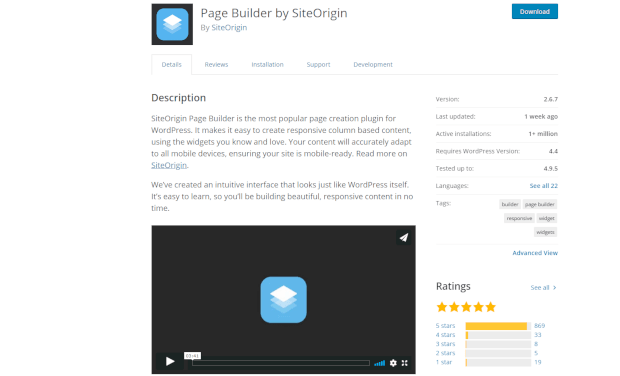 But then you install, say, a slider plugin that isn’t responsive. Your previously seamless mobile experience is now a mess on phones. If mobile users find a site that is poorly optimized or difficult to use, they’ll click back and never return. When you use WordPress plugins that modify the look of a webpage, make absolutely sure that they’re responsive, or you’ll be losing visitors. One of Soliloquy’s big selling points is its responsiveness. Since sliders are such a prominent part of your design, it’s important that you choose a mobile-friendly slider plugin. 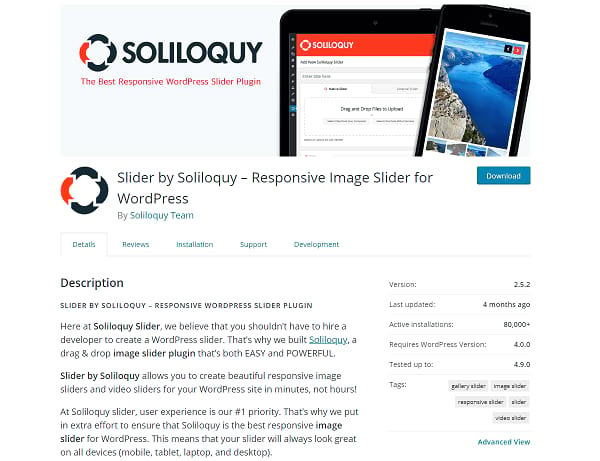 Soliloquy sliders both look great and are easily controlled on mobile devices. Touch and swipe controls are available. It’s also optimized well, so pages load fast even on phones. Along with its responsive design, Soliloquy comes with multiple features and can dynamically draw images from almost any place on your website. Plus, it’s SEO-friendly. It’d be difficult to find a slider plugin that looks better on mobile. 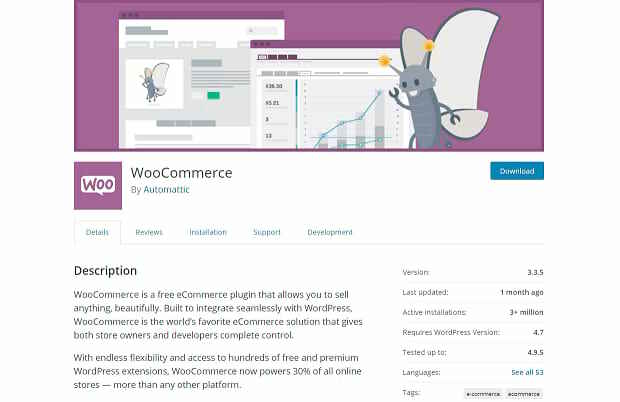 WooCommerce is an e-commerce plugin with its own themes and extensions. Anyone can use WooCommerce, as it just allows you to sell products. However, Storefront and its child themes were built to integrate seamlessly with WooCommerce. If you decide to use Storefront, there are plenty of responsive child themes to choose from. The default Storefront theme is responsive as well, so you can display your products beautifully on any device. Many of the most popular form plugins aren’t responsive. Though you can usually resolve this with some CSS tweaks, it still isn’t ideal. Form Builder is the exception. Along with being a drag-and-drop form builder, it also looks amazing on all devices and screen sizes. 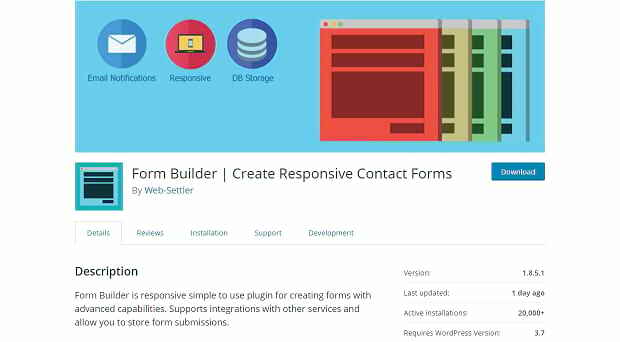 Easy to use and loaded with features, this plugin is the go-to when you need a contact form. 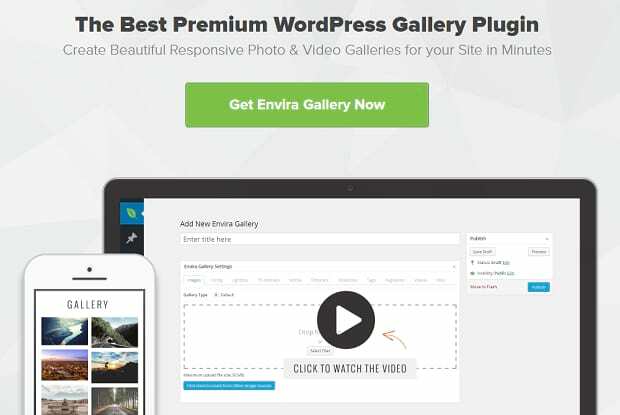 Envira is a responsive WordPress gallery plugin, loaded with features such as a drag-and-drop builder, templates, and WooCommerce integration. What’s the use of having a gallery on your site if mobile users struggle to see the images? You want a plugin that displays photos perfectly on all devices, and Envira Gallery is that plugin. 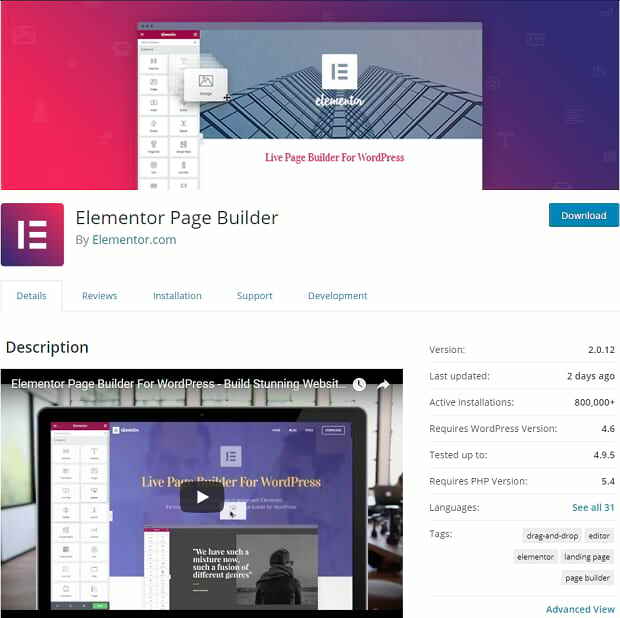 Elementor is a mobile-first page builder that creates fully responsive site layouts. Its main draw is its speed, WYSIWYG, live editing, and a seamless UI experience. No need to preview your edits; it appears right there. There are hundreds of templates, widgets, and blocks to choose from, which will help you create a beautiful mobile website. 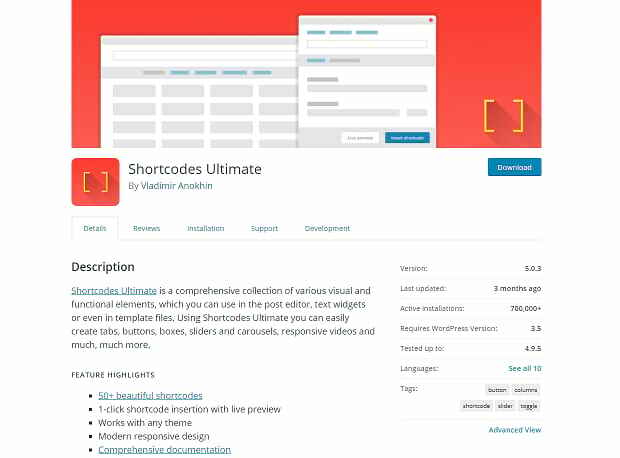 Shortcodes Ultimate adds little features and enhancements, including video players, dividers, user data, and progress bars, all accessible via shortcodes. Each of these features are responsively designed, so the little elements will resize and look good on mobile devices. When you want to create a private page or work on your website without producing any ugly error messages, a coming soon or maintenance page is just what you need. 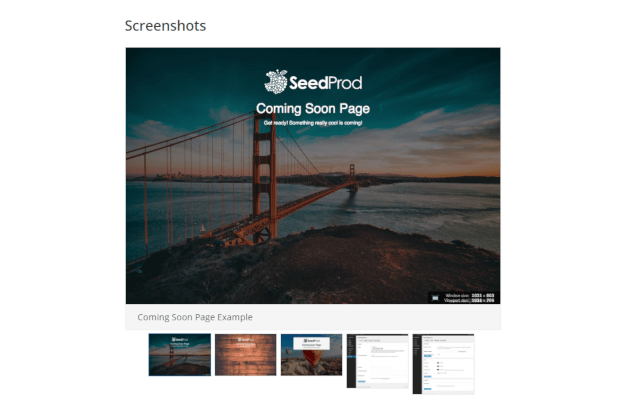 This plugin creates beautiful coming soon pages that look great no matter where you access them from, and it works with any theme. 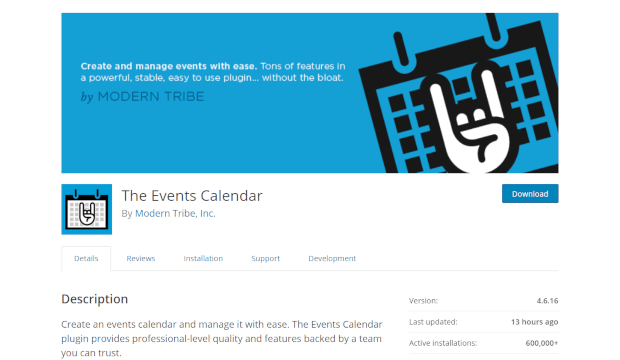 The Events Calendar creates beautiful and responsive calendars that can be created quickly and with ease. Search, add Google Maps, put down a widget of upcoming events, and much more. The calendars look great on all devices; easy to read and browse. 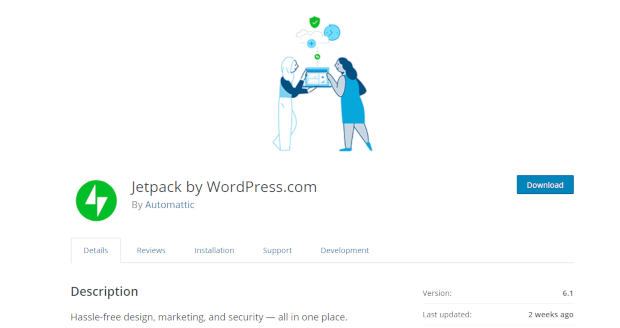 While Jetpack itself is just a toolkit for WordPress, its Jetpack Mobile Theme feature allows you to dynamically create a mobile theme for those themes that are unresponsive. The website is simple, but pulls from your article pages and featured images to create a passable responsive theme. You can customize it, changing navigation links and the header, include social media sharing and management links, and more if you wish. If your theme doesn’t look very good on mobile, or is simply not responsive, pick up Jetpack. It may not create the most beautiful mobile theme, but it’s so much better than nothing. Many page builders work well, but when you check it out on another device, you find the site you created is a jumbled mess. Page Builder doesn’t have this issue. Create responsive, column-based pages in WordPress, with lots of widgets to extend functionality. It works with almost any theme, so you can stick with your favorites instead of choosing from a small pool of themes. 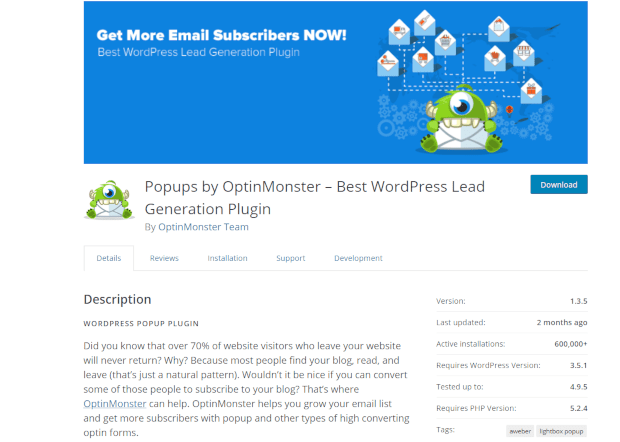 OptinMonster’s goal is to help you grow your email list and bring your content to more people, and popups are a great way to do that. A popup with a good lead can cause someone who was going to leave and never come back to become a fan. You can create multiple kinds of popups, including social opt-ins, all of them and their templates responsive. Nothing is more annoying on mobile than an element that can’t be easily interacted with. These popups work great on every device, so you can grow your email subscribers. With its responsive email templates and forms, MailChimp is often the go-to for small businesses and individuals who want to start a newsletter for their website. Forms you create are mobile-friendly and can be customized with themes, or just mesh with your current theme. 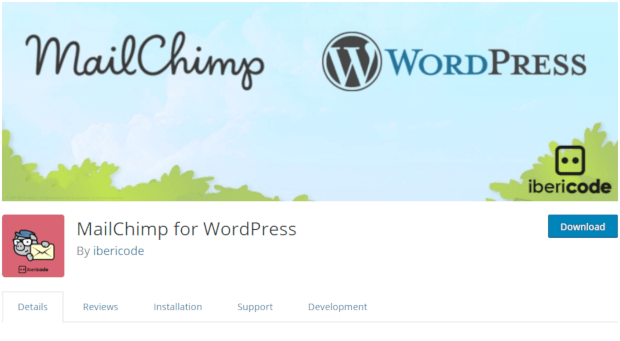 MailChimp itself is not a WordPress plugin; however, you’ll need to have a third-party account. The responsive forms you create will link users directly to your MailChimp mailing list. 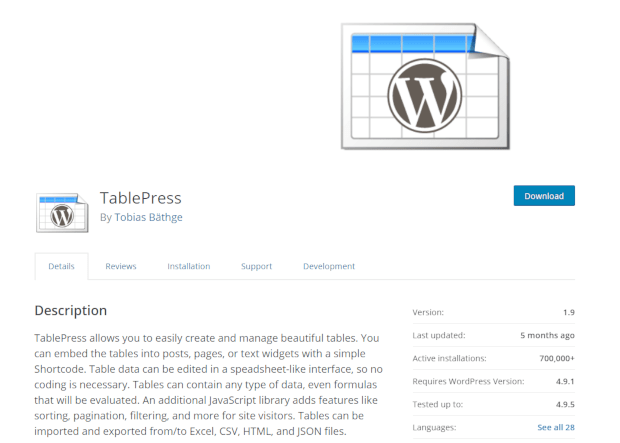 TablePress is one of the best table-creating plugins, and TablePress Premium gets you access to the Responsive Tables plugin. There are three different solutions for displaying tables on small devices: flipping it so it can be scrolled vertically, making the table scroll horizontally, or collapsing rows on the tables and allowing them to be opened one by one. Making a table easily readable on mobile is awkward, but Responsive Tables has three elegant solutions. 57% of consumers say they won’t recommend a business with a poorly-made mobile site. Since unresponsive plugins can break the layout of a page, make sure you’re downloading mobile-friendly plugins. That, of course, isn’t important if you’re downloading something that only works on admin pages or doesn’t modify a site’s appearance at all. But for sliders, contact forms, and theme builders, make sure you’re downloading responsive plugins — or your blog will suffer for it. Found a plugin you love? Great! Share it with us in the comments below. Then follow us on Facebook and Twitter for more resources like this one.